The Almaz-Antey Air and Space Defense Corporation is one of Russia’s biggest defence industry enterprises. It will display a broad range of military and civilian products at the 12th Aero India International Aerospace Show 2019 to be held in Bangalore on February 20-24, the corporation’s press service reports. At its united stand, the corporation will display products of its six subsidiaries. These include models and media presentations of air defence missile systems and air defence missile complexes of long, medium and short range. 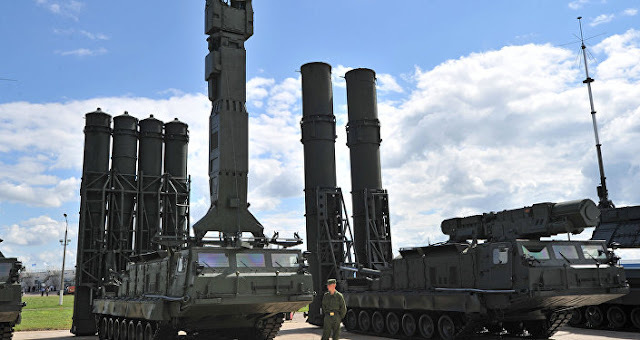 Visitors of the fair will have an opportunity to see such air defence missile systems as S-400 Triumph, Antey-2500, and S-300PMU-2 Favorit, as well as the air defence missile complex Buk-M2E, modifications of the air defence missile complex Tor, including Tor-M2E and Tor-M2K mounted on tracked or wheeled chassis, and autonomous combat modules from Tor-M2KM. In addition, the stand will display information about the Tunguska-M1 air defence gun/missile system, the Osa-AKM1 air defence missile complex and the 9F6021E Adyutant universal target training complex. Air space control radars occupy a special place in the exposition. The multi-purpose radar 55Zh6ME, the mobile on-duty radar 55Zh6UME, mobile radars 1L121E and 1L1215E, and small radars 1L122-1E and RTK E-801E will be demonstrated with models and video presentations. He said representatives of the corporation plan to hold a number of meetings and talks with potential customers. Almaz-Antey has the right to engage in independent foreign trade activities regarding its military products, including the supply of spare parts, repair and modernization of previously supplied hardware, and training of its customers’ personnel. In 2017, Almaz-Antey, which employs about 130,000 people, was among the world’s top ten producers of military hardware. It was ranked eighth among the Defense News top 100 global defence companies. The militaries of over 50 countries are equipped with its systems.